Ilam is a municipality and tea-producing town in Nepal. 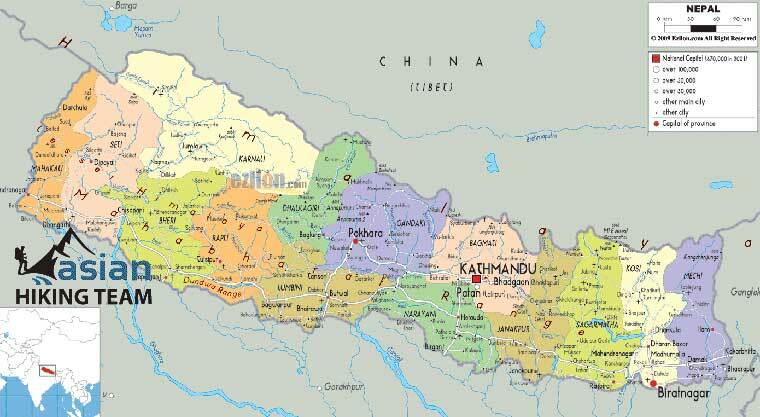 It is in the Ilam District, which is in the hilly Eastern Region of Nepal 700 km east of Kathmandu. It is famous for natural scenery and landscapes, tea production, holy sites and diverse agricultural economy. Ilam offers an excellent getaway from city life for sunrise and sunset, a brisk walk in the tea garden, tranquil picnic and sightseeing stops, short treks along gentle slopes or a trudge into the nearby woods. If spiritual instinct calls there are several holy sites one can visit in and around the area. Ilam is a much sought after tourist destination for travelers of all kind. From up here at 5,500ft you can see the entire Ilam region, even Darjeeling and Kurseong across the border. The cool climate, emerald green and the songs of the tea pickers all blend to produce a particular Nepali tea culture, one that growers think is ripe for tourism. We can find a large land of lush-green tea gardens in Illam and the rolling hills covered with tea leaves are simply wonderful. Greenery is all over the hills of Islam all around the year. The Island Tea Garden is situated near Illam Bazaar and Kenyan Tea Garden located between Terai plain and ILam Bazaar are the major of Nepal. Illam give us feeling of Relaxation and enjoyment. Tour duration: 6 nights 7 days. Meals: All meals in Hotel and Restaurant. Transport: By or flight or Private vehicle. Activities: Tea/coffee farm, Antu Danda tour- for the best view of mountain, Mai pokhari tour- the view, Kanyam and Fikkal tour for tea farm. Day 01/02: Drive to Ilam Bazar by night bus next day reach, Overnight in Hotel. Day 03: Antu Danda day tour, overnight hotel. Day 04: Mai Pokhari day tour, overnight hotel. Day 05: Kanyam and Fikkal tour day tour, overnight hotel. Day 06/07: Drive to Kathmandu use night bus arrive Kathmandu transfer to hotel. Note: It is possible to combine Chitwan safari tour / Pokhara tour / rafting trip. Both way by Bus (flight on request). Insurance for Tour Guide and their daily wages. Tips for Tour Guide after the trip. We take night bus to drive 700km to Ilam Bazaar from Kathmandu, 15 hours to Ilam, Overnight in Ilam Bazaar Hotel on day 02. Day 03: Antu Danda day tour, overnight at hotel. Antu Danda is situated at an altitude of 1677m in Illam District. It is famous for its unique views of Everest and Kanchenjunga. It is the best point for viewing sunrise and sunset. There is a motor able road from Illam to Chhipitar. Hiking along green hills take 3 hours, overnight at hotel. Mai Pokhari is located at an altitude of 2438m. It is famous place of pilgrimage in Illam district. It lies at about 13 kilometers north to Illam Bazaar. Altogether there are nine ponds in the area some of which are large enough for boats. This place will be nice to visit during ‘Harisayam Ekadashi’ when a one-night fair is held. Mai Pokhari can be arrived in 3 hours from Illam Bazaar in vehicles. we can observe villages like Chureghanti, Bakhaute, Dharpani and Hasbire Bhanjyangon the way with a view of the snowy peaks towards north, transfer to hotel. Day 05: Kanyam and Fikkal tour. These places have large tea land and these tea plantation areas are famous among tourists for picnicking, sightseeing and taking photographs. Note: Option for day 05, you can visit Chhintapu/Gajur Mukhi; Chhintapu is the second highest peak in Illam district. The area has rich forests of Rhododendron, medicinal plants and various species if the birds. We can find about 11 types of Rhododendron in this area. Yarcha gumba and rare animals like red panda and musk deer is also can be seen in this area. The peak cab can be reached by trekking for 4 hours from Illam Bazaar. Gajur Mukhi is on the banks of Deumai Khola which is west of Illam. Day 06/07: Drive to Kathmandu transfer to hotel on day 7. On the Evening drop to Bus Park on way journey to Kathmandu 15 / 16 hours by tourist bus. You will be here in Kathmandu on the evening of day 07. What kind of equipment we need?